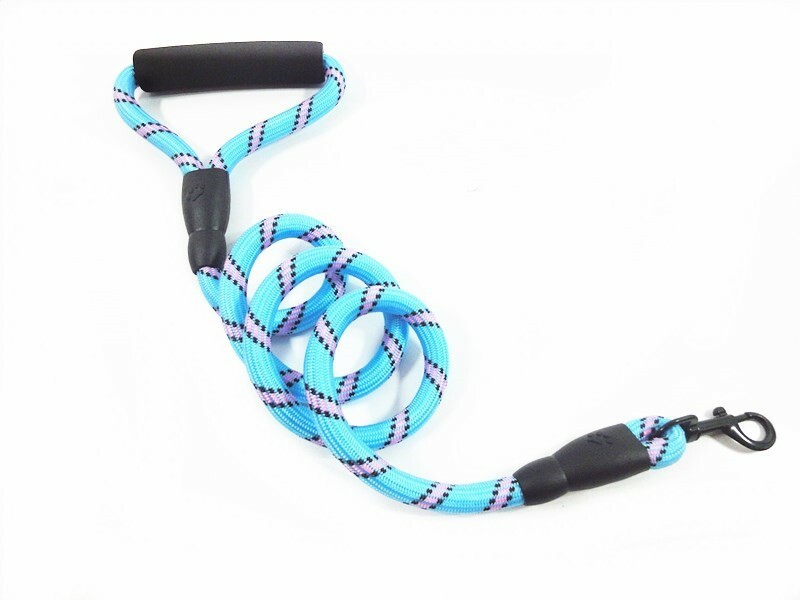 Rock climbing rope is thicker and stronger than standard designs, which can hold large dog pulling and running. Rustproof alloy clip is designed for consistent use. Reflective threads make night walking safer. 360 degree tangle free hook offers free exploration for pets. Foam handle fits your hands well, no rope burn any more. What Should I Prepare If I Want to Climb with My Dog? Climbing is not an easy activity, which I would say bringing your pet with you is not a good idea. Because you cannot totally focused on climbing, you have pay attention to directing your pet as well, which is very dangerous behaviour in climbing. But if the spot you want to climb is safe and flat, you can bring your well trained pet together. There are 2 things you need to do. 1. Keep your pet close when climbing, short distance means easy control, when your dog lead a wrong way, you can direct instantly. 2. Suitable equipment is the key, choose suitable and good quality climbing accessories for your pets such as climbing rope leash or harness, which can protect your pet and offer you enough control.